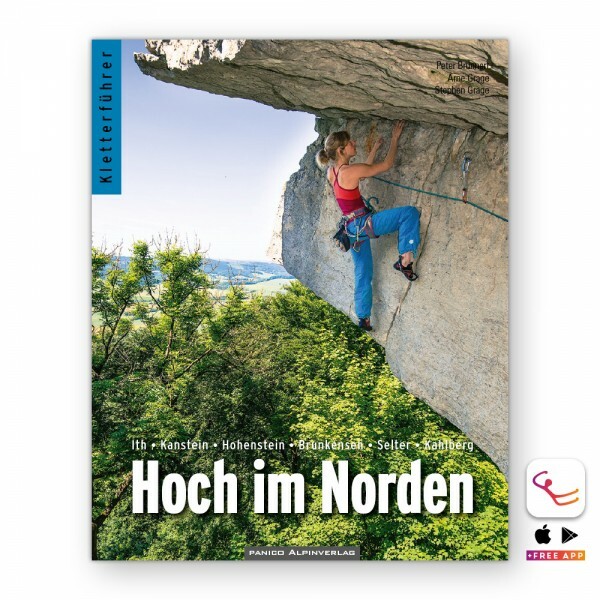 Product information "Hoch im Norden: Sport Climbing Guidebook"
Anyone who knows a bit about the German climbing landscape knows that Niedersachsen has more to offer than Heidschnucken, Hannover 96 and hikes in the wattlands. You can really climb there! On the famous Ithklippen around Kamel, Krokodil and Drachenwand, the bizarre rock towers high on the Kanstein, the areas opened for rock climbing in the Selterdschungel, the popular walls of Brunkensen or the impressing alpine wall of the Hohenstein. The 2nd edition of this guide has been completely revised: well over 200 new routes had to be documented and the volume grew to 516p pages. In addition, the authors have completely redesigned it with over 100 climbing photos and all areas have been updated by the authors. A work not only for the backpack, but - to increase the thrill of anticipation - also for the bedside table. Related links to "Hoch im Norden: Sport Climbing Guidebook"
Customer evaluation for "Hoch im Norden: Sport Climbing Guidebook"